As we improve the accessibility, usability, and scalability of Naviance, we are pleased to announce that Naviance District Edition is now integrated with Clever, the leading data integration service. 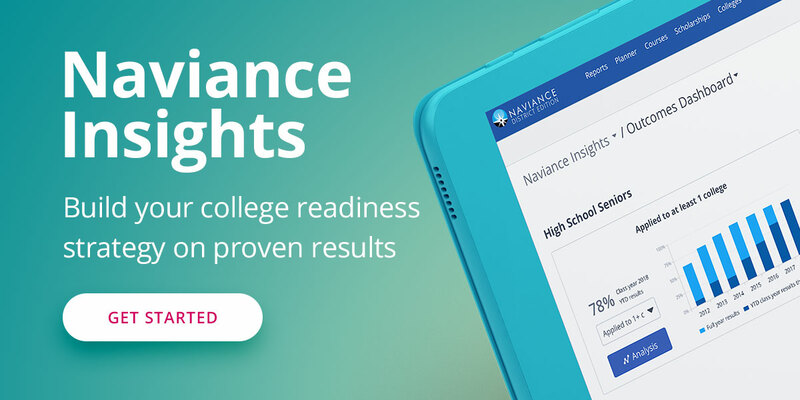 Clever is used by more than 60,000 schools and the Naviance + Clever partnership makes it easier for students to access postsecondary planning tools and simplifies data management. That’s good news because survey data shows that 25 percent of students’ digital learning time is wasted on set-up, troubleshooting and logging on to online platforms. Instant Login: Once Clever is enabled, students can quickly and easily access Naviance from the Clever Instant Login portal. Up-to-Date Information: Key student data in Naviance is kept up to date and secure by syncing your student information system with Naviance. Easier User Management: When student accounts are created, made inactive or transferred to other schools within the district, the updates are reflected in Naviance within two hours after your student information system syncs with Clever. Clever integration is available for students in districts that use Naviance District Edition. Clever integration for staff will be coming later this school year. Naviance clients interested in the Clever integration should contact us and we’ll be pleased to assist you. There is no additional charge for the Clever integration. Learn more about what’s new with Naviance for the 2017-18 school year.